After getting our own backyard chickens and devouring chicken books and websites, we, along with our four young boys, fell in love with these productive, entertaining and ecological creatures. It took significant time and money to learn about the regulatory process, build a shelter and purchase chickens and supplies. 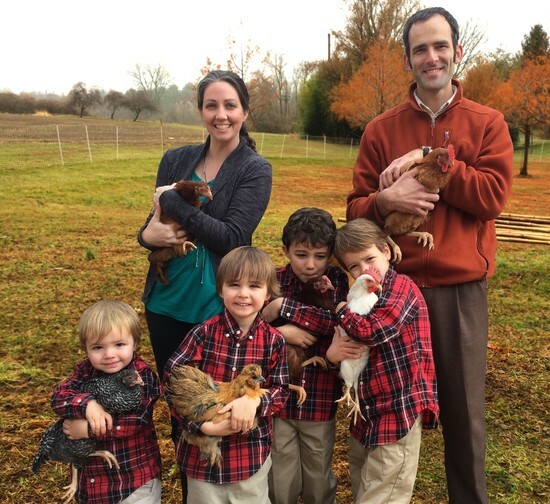 An idea sprouted, and we decided to start a family business to make backyard chickens more accessible and affordable for others who lead busy lives. We are excited to be a part of a movement that provides local, wholesome food in a way that respects the land and the animal. Want to help spent hens find forever homes? Check out this local organization. See our setup during the growing season at EarthDance Farms in Ferguson!